BARRINGTON, Ill. (WLS) -- A $6,000 reward is now offered in the deaths of five coyote pups that were found in Barrington. 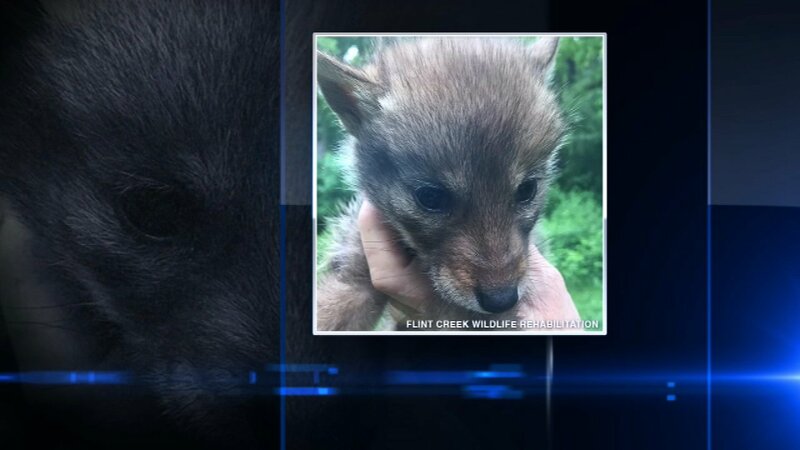 Cook County Forest Preserve Police found six coyote pups in a bag in the Spring Creek Valley Forest Preserve in Barrington, Illinois, on May 11. Only one pup from the litter was found alive, but he was badly injured. Flint Creek Wildlife Rehabilitation is working to save the pup's shattered leg. It is doubtful the surviving pup can be returned to the wild. "Anyone who could so callously maim and kill defenseless coyote pups and then toss them away like trash is a danger not only to animals but to the community at large. We are hopeful that this reward will bring forward anyone with information about this heinous crime," said Marc Ayers, the Illinois state director of the Humane Society of the United States, in a statement. The reward is offered by the Human Society, the Illinois Department of Natural Resources and Flint Creek Wildlife Rehabilitation.